GEELONG'S Lincoln McCarthy is officially a Brisbane Lion after the first deal of the NAB AFL Trade Period was struck on Monday morning. The Cats moved McCarthy, a third (currently 54) and fourth-round selection (currently 57) in return for Brisbane's third (currently 42) and fourth-round picks (currently 60). McCarthy, who turns 25 later this month, signed a three-year contract. He has played 29 games since being drafted at No.66 in 2011. 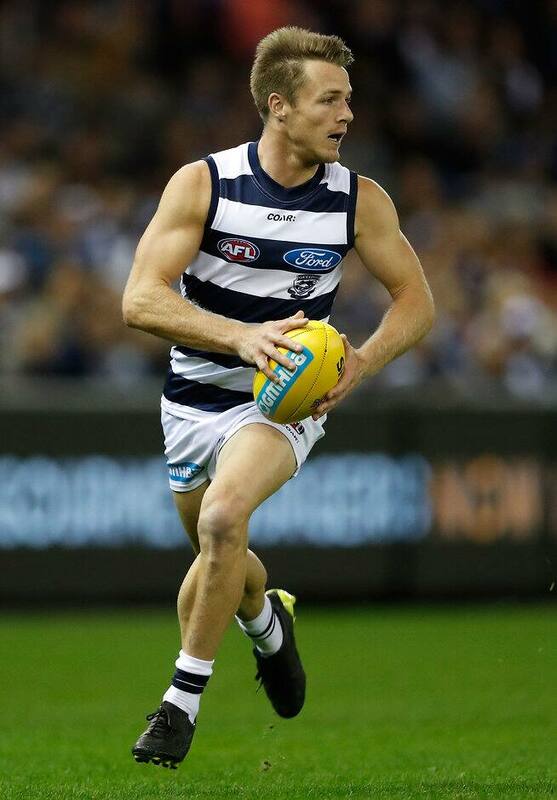 Injuries cursed McCarthy during his time at the Cats. Foot problems forced him to miss the entire 2013 and 2015 seasons, while hip, hamstring, groin, back and quad concerns have also sidelined him at different stages. McCarthy is a close friend of dual Fremantle best and fairest and fellow South Australian Lachie Neale, who the Lions are courting with a five-year, $4 million deal. Brisbane football manager David Noble told lions.com.au McCarthy would offer flexibility to the forward line. "The club has had a strong focus on bringing quality players and people in the age range of 23-26 years of age. Lincoln McCarthy fits that brief and has certainly been a player of interest for us over the past 12 months," Noble said. "Lincoln brings a range of skills we can use both through the midfield and as a pressure forward. His ability to mark the ball for his size also provides the versatility we are looking for, with our players being able to move through various positions. "We are very pleased that Linc and his partner Tayla have selected our club as the place they wish to continue their journey together. "We are excited about continuing to grow our list for the coming years." The picks Geelong traded out originated from Richmond (No.54) and Carlton (No.57).